This review has been a long time coming. For a product I use virtually every day and that has been a staple feature in my handbag for a good nine months now, to call it late would be an understatement. 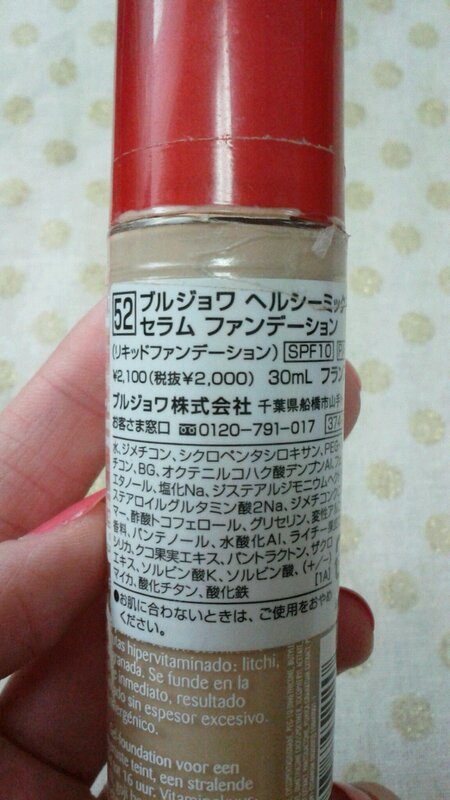 For a product that was just bought on the fly to be a cheap everyday alternative (although at ￥2,100 it is practically double the price at which it retails in the UK) to my high end foundation, and with no makeup professionals on hand to match me to one of the four available shades here, it really has delivered. I’m so impressed with it. 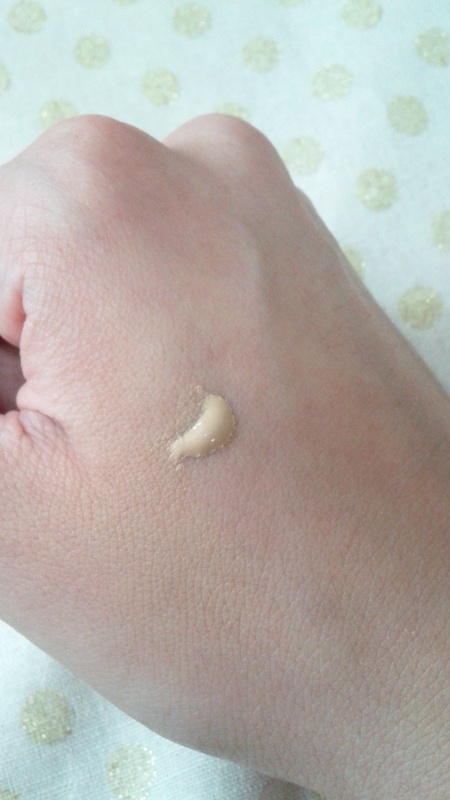 It glides on beautifully and smoothly, leaving a dewy finish. I do set my T-zone with powder though, as it gets oily by the time afternoon rolls around. Two pumps even out skin tone beautifully, and fully cover any redness. It is a godsend for dry skin. I always moisturise well and use sunscreen before applying it, and it just feels so creamy and nice and gives skin a nice youthful sheen. I never have to worry about it clinging to dry patches the way I do even with my beloved Shu Uemura foundation. The smell is divine. I love putting it on my face and smelling fresh and lovely and fruity. I know this bothers some people, but if you have read any of my other reviews at all, you will know by now that I love putting products that smell wonderful on my face (as long as they don’t irritate my skin of course). I use the shade number 52 Vanilla. I find it to be a forgiving colour, or perhaps it is just right for my skin tone. Nobody has ever seemed appalled whenever I have gone out in it, and I do virtually every day. I’m certain my students would say something. One can always count on opinionated and angsty teens to share their not always kind views. This does, of course, have its pros when they have nice things to tell you. I did not for a second believe the claims on the bottle that it would last 16 hours on my face. As I do touch my face A LOT throughout the course of the day, it does wear away around the nose (especially if I’m ill and blowing it), and around the mouth and chin, but it does stay put in other areas for the majority of the work day, with more lasting power in the winter than in the summer months. 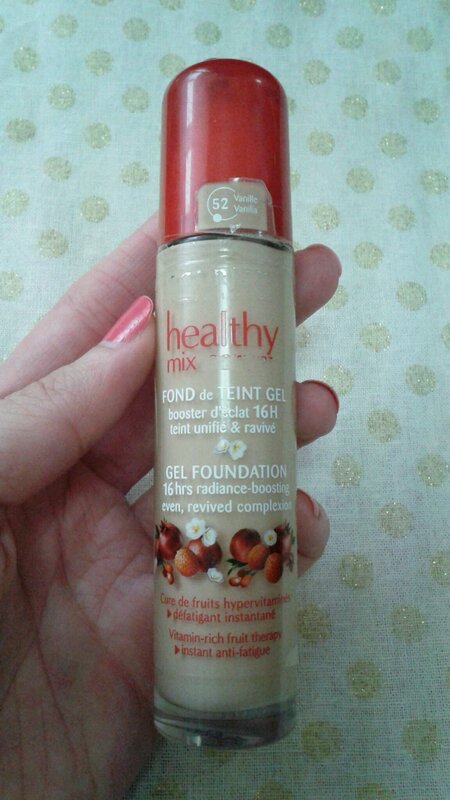 Anyway, being a much loved foundation in the blogosphere, Bourjois Healthy Mix Serum is totally worth a trip to your nearest beauty retailer to try it out and see if it’s the HG foundation you’ve been looking for and whether it warrants its reputation. I certainly think it does. The disgraceful state of the packaging is a testament to how often I use it and cart it around everywhere. It’s not always fun being illiterate in Japan… Then again, I don’t think I’d understand the ingredients list in English either anyway! 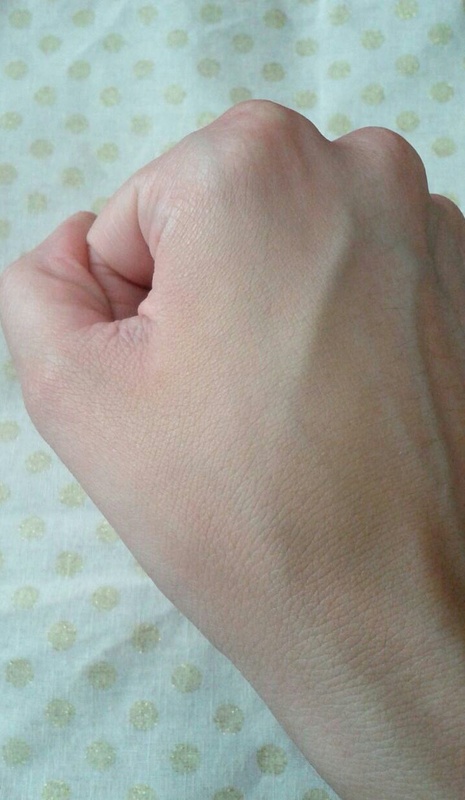 Blob on the back of my hand. I definitely follow with powder 🙂 I haven’t tried the original one yet, but I have a bottle waiting to be tried out.